Cool! 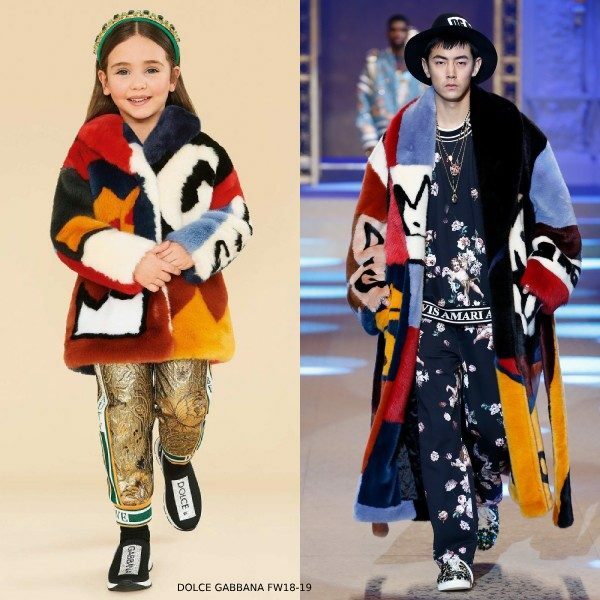 Love this Dolce & Gabbana Mini Me Faux Fur Colorful Queen Runway Jacket. 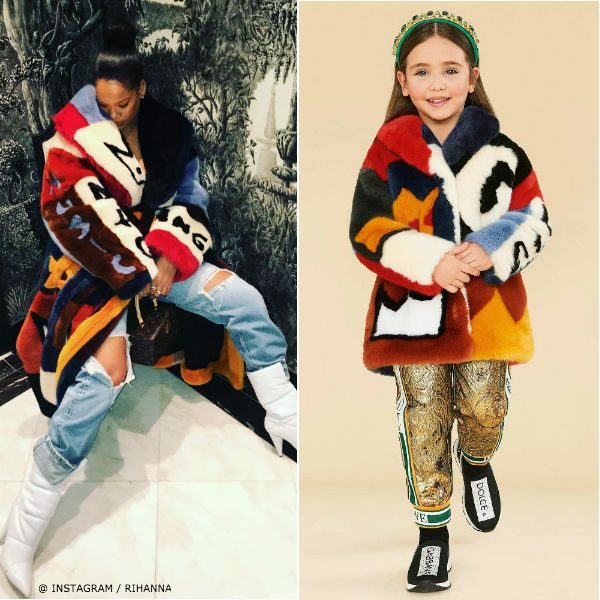 I first saw this amazing colorful coat worn by no other than @badgalriri (Rihanna) on Instagram. Featured on the Dolce & Gabbana Men’s Fall-Winter 2018-19 Runway SHow at Milan Fashion Week. This girl’s luxuriously soft faux fur coat by Dolce & Gabbana is the perfect stand-out piece from the FW18-19 DG Child Collection. Love the with colorful ‘Queen’ design, padded with wool for warmth, and lined in polyester silk making it fit a little princess. Complete the look with a pair of gold jacquard print pants, DG black sneakers, and a little jeweled crown. Unfortunately, this amazing coat is sold out. But you can find similar coats in the current Dolce & Gabbana girls collection.